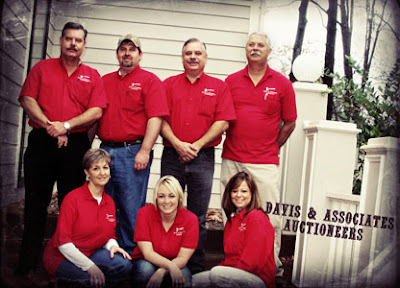 Featured Auction of the Month for the LAA Davis & Associates Auctioneers www.martydavisauctions.com 870-866-0732 Over 25 Years Experience in the Auction Industry and ready to help you with business liquidations, estates, farm and heavy equipment auctions. Why join the LAA and Why go to the Convention? 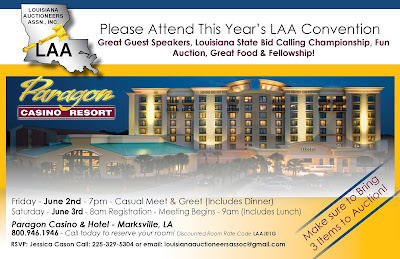 Louisiana Auctioneers Association Blog 9/14/2016 I hope everyone of our Louisiana auctioneers are doing well, its been a rough month for myself and our auction family at Henderson Auctions. So much devastation and turmoil its just mind blowing. Myself and many other of my fellow Louisiana neighbors are trying to put our lives back together. 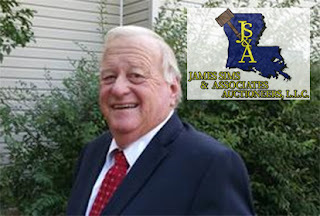 If you were affected by the August floods please contact me Jessica Cason at louisianaauctioneersassoc@gmail.com Louisiana Auctioneers Association News: September Member of the Month - BROWN'S AUCTION AND REALTY CO. www.brownsauction.com admin@brownsauction.com 337-457-4919 Lafayette, Louisiana Jacob Brown La Lic#1421​ United Country Brown’s Auction and Reality Co. is a family owned and operated business since 1970, based in southwest Louisiana approximately 8 miles east of Eunice, Louisiana. 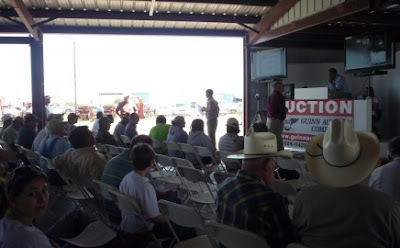 Our auction facility sits on 98 acres making it one of the largest auction facilities in the state. 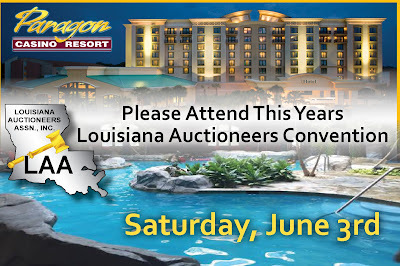 For 38 years, Brown’s Auction Company has conducted auctions of all types for both private parties and municipalities throughout the State of Louisiana. Brown’s Auction Company recently partnered with the country’s top selling real estate auction franchise, United Country. Brown’s and United Country now work together in providing services, through a network of experienced real estate and auction professionals, to offer the best option for each individual client. FEATURED AUCTIONEER OF THE MONTH - August 2016Guinn Auction Co / Michael L. Guinnwww.guinnauctions.comGuinn Auction Company is a second generation auction business with three generations of experience in the construction industry. Whether Buying or Selling, Guinn Auction Company works hard to provide services that ensures your experience with us will be a good one – before, during, and after the auction. We take pride in conducting orderly, fair, auctions – representing all individual assets with the highest level of professionalism which has proven beneficial for both buyer and seller. Upcoming Auctions: Government Surplus Equipment & Vehicle Auction by Guinn Auction Company, Inc. Saturday, August 27 | 10:00 AM Central Jennings, LA Liquidating Surplus Assets For Local Government Entities. 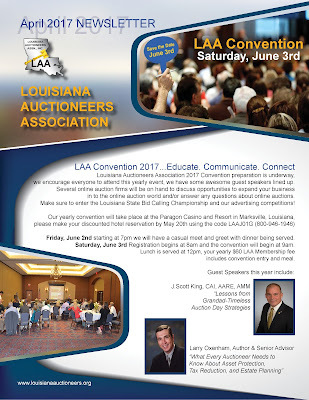 Visit www.louisianaauctioneers.org for a complete list of Louisiana licensed auctioneers! Auctions a 2000 year old History! History of Auctions In today's society the auction industry has transformed dramatically over the past 2,000 years. Yes, you read that correctly...Records handed down from ancient Greeks document auctions occurring as far back as 500 B.C. At this time, women were auctioned off as wives. In Rome, around the time of Christ, auctions were popular for family estates and the selling of war plunder. One of the most significant historical auctions occurred in 193 A.D. when the Praetorian Guard put the entire Roman Empire on the auction block.American auctions date back to the arrival of the Pilgrims on America’s eastern shores in the 1600's and continued in popularity during colonization with the sale of crops, imports, livestock, tools, slaves and entire farms. Colonels during the American Civil War were the only people allowed to auction war plunder and today many auctioneers carry the title of “Colonel.” Auction schools came to the United States in the early 1900's. 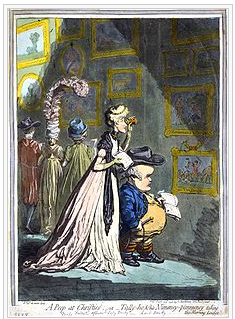 The Great Depression created many opportunities for auctioneers, as their services were needed to liquidate the assets of individuals and businesses hurt by the economy.reference: http://www.auctioneers.org/consumers/auction-history A Peep at Christies (1796) - caricature of actress Elizabeth Farrenand huntsman Lord Derby examining paintings at Christie's, by JamesGillray. In some parts of England during the seventeenth and eighteenth centuries auction by candle began to be used for the sale of goods and leaseholds. In a candle auction, the end of the auction was signaled by the expiration of a candle flame, which was intended to ensure that no one could know exactly when the auction would end and make a last-second bid. Sometimes, other unpredictable processes, such as a footrace, were used in place of the expiration of a candle. This type of auction was first mentioned in 1641 in the records of the House of Lords. The practice rapidly became popular, and in 1660 Samuel Pepys's diary recorded two occasions when the Admiralty sold surplus ships "by an inch of candle". Pepys also relates a hint from a highly successful bidder, who had observed that, just before expiring, a candle-wick always flares up slightly: on seeing this, he would shout his final - and winning - bid. The London Gazette began reporting on the auctioning of artwork at the coffeehouses and taverns of London in the late 17th century. reference: https://en.wikipedia.org/wiki/Auction The auction industry has a gross revenue in the billions yearly with the fastest growing sectors being agricultural, machinery, equipment auctions and residential real estate auctions. Even in a presidential year with low oil prices, the auction industry thrives. Fun Facts: The word “auction” derives from the Latin word “auctus,” which means “increasing.” Rome was the first nation to license auctioneers. Roman Emperor Marcus Aurelius sold family furniture at auction to satisfy debts. The “Magister Auctionarium” drove a spear into the ground to start the auction. Today, auctioneers use gavels many times throughout an auction. Founded in 1674 by Baron Claes Rålamb, Stockholms Auktionsverk is the oldest auction house still in business. Candles were used in the 1700's at auctions to declare the winner. If you were the high bidder at the time when the candle extinguished itself, you won the auction. In the mid-1700's, auctions were commonly held in taverns. Elaborate and detailed catalogs for works of art were considered art themselves. America’s first president, George Washington, was an avid auction buyer. Jones’ National School of Auctioneering and Oratory was the first American auction school and was established in Davenport, Iowa, in 1906.